Tom Bailey’s Sick Seconds’ Camaro sported a new tattoo during Drag Week 2016 after losing in a head-to-head race against the Fireball Camaro at Bandimere Speedway in the premier episode of NBC Sports’ new show the Grudge Race. The Fireball Camaro backed up its claim, kept its pride and won the title, “World’s Fastest Camaro” thanks to the skilled driving of Ryan Martin, co-owner and driver of the Fireball Camaro. The grudge started when both Sick Seconds and the Fireball have claimed to be the world’s fastest street-legal Camaro, but in a hyper-competitive sport like racing, there can be only one “fastest.” And lucky for us, claims and grudges can be easily settled on the track and filmed for everyone to watch. While Sick Seconds is considered to be a pro-mod by most in the racing community, it’s logged more than 3,000 miles on the streets. Bailey’s 1969 Camaro sits upon an elongated wheelbase and is powered by 615 cubic inch Steve Morris motor and two twin 88 mm turbos long. Though it uses a racing parachute to decelerate, Sick Seconds is also equipped with cupholders, two seats and a large radiator to satisfy the requirements for Drag Week. Sick Seconds claims that despite the modifications, the car is still street legal, and therefore a streetcar. In contrast, the Fireball Camaro features a nearly all stock appearance, with original chassis, quarter panels, hood and doors. Though it maintains the same dimensions and similar appearance to most camaros you’d encounter on the streets, the Fireball Camaro is powered by a 540 cubic inch Proline engine and two 98 mm turbos. 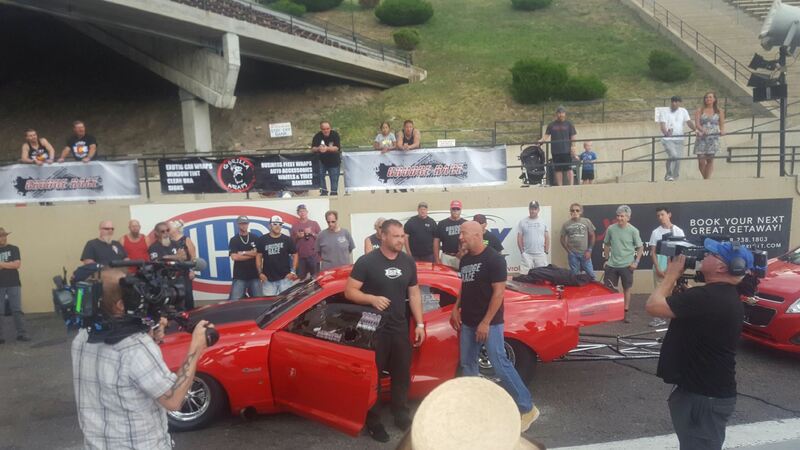 The Fireball door-slammer and the Sick Seconds pro-mod both turn out more than 3,500 horsepower. It’s been said that you “gotta work on the nut behind the wheel before you start fixing the nuts and bolts on the car.” When two equally matched cars pull up to the line, it all comes down to the driver. That’s exactly what the outcome of the Grudge Race came down to. The Fireball Camaro narrowly lost the first race to Sick Seconds after Bailey appeared to be playing a burndown game, but later admitted he was having mechanical issues. Ryan accepted Bailey’s explanation but channeled the loss into extreme focus going into the next race. During the second race, Sick Seconds encountered lift when too much boost kicked in. Bailey never recovered complete control of the car while Martin kept the Fireball straight for an easy victory. Though the Fireball is a high-performance, well-maintained, quarter-mile monster, the Grudge Race came down to who was the better driver that day. Martin proved himself to be the better nut behind the wheel – drive, determination and focus settled the grudge and secured a win for Fireball. It was an honor to race against a man of his word. After losing the last 2 of the 3 races, Ryan Martin and Grudge Race host Willie B slapped a Fireball logo across the back of Sick Seconds. I would like to see this Camaro line up against Judson Massingills ‘99 Camaro and see how the fireball runs against a naturally aspirated Camaro. I am not sure if he still runs the car, but it is definitely a force to be reckon with. Just look it up if you have never heard of the Camaro.